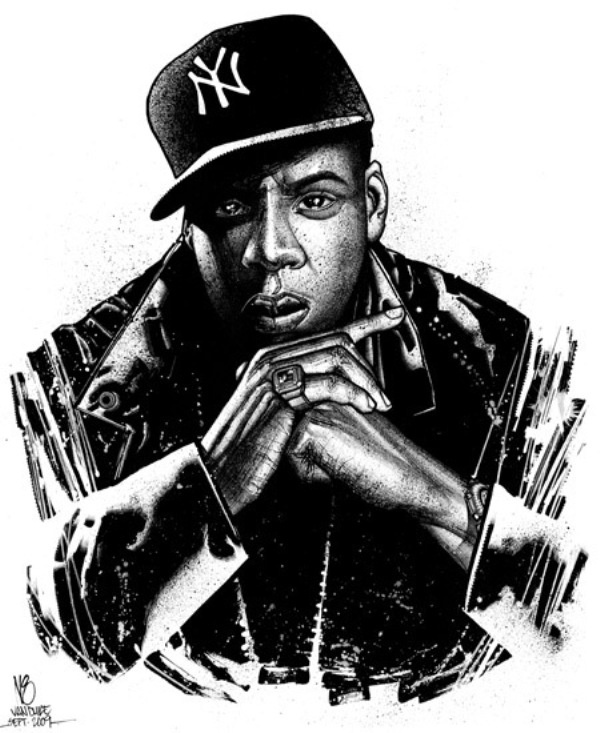 Nate Van Dyke illustrated the Jay Z Evolution Greatest Hits album with images depicting the various stages of the New York rapper’s career. Nate Van Dyke was successfully commissioned by Def Jam, after being in competition with other illustrators, and says he invested as much as eleven hours into each detailed sketch. Sadly, at the very last minute, the project had to come to a halt due to legal complications but we decided it’d be a shame to let this art go to waste. Great Hip-Hop portraiture work like this is so underrepresented and inaccessible to collectors we decided to make it a focal point of our gallery.